While Geoff has been away touring around South Korea and Japan, I have been filling my time doing the things I love….. running, biking and walking. Easter and a 4-day break for me, I usually hate Bank Holidays when Geoff is away but thanks to Parkrun and SWNC I had a fab Easter break, filled with running biking and fun. 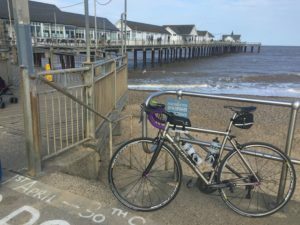 My Next adventure was a 200km Audax, something I have wanted to do for a while, so when the opportunity came up to join a couple of friends I jumped at the chance. It was an awesome day, starting from Seething, riding on lovely country lanes and roads, the route took us out to the Maglia Rosso cafe near Bury St Edmunds then we headed to the coast via Framingham, Saxmundham and Southwold before returning back to Seething. The miles just seemed to fly by and I returned home eager to book another 200km Audax with Geoff. 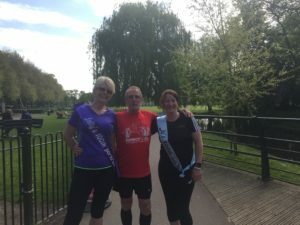 Then to top it all off there was the 10k GEAR run, I have done this run many times but had to miss it last year due to injury, so it was nice to be back running a home event with many lovely friends and Ladybirds. 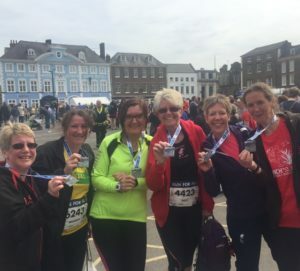 This year it was being run by the Asda foundation and as a runner, I can say it was very well organised with a great medal, T-shirt and goodie bag. There was also the most amazing amount of support around the route, which provided a magic atmosphere.Due to not running for 10 days and doing 250 plus miles on my bike I didn’t expect to run a good time, but my legs had other ideas, a great time of 56.53 missing out on a P/B by 10 seconds !! After the run we all went to the pub, enjoying food, drink and of course lots of chatting and it really did feel like I just about knew everyone. Now Geoff is home for the summer and I have lots of exciting things planned for him !!!!!! 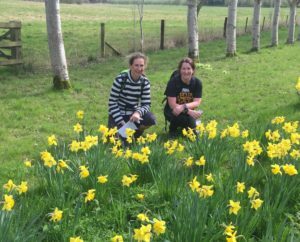 This entry was posted in Audax, GEAR 10k, Parkrun, Personal on May 8, 2017 by Sally.